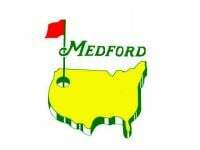 Appears that Meadow Lakes in Prineville is open, so I'm hopeful there is golf to be played. Yes, Meadow Lakes is open and in pretty good shape when I played it last Tuesday although I had to take snow relief a couple times. Juniper is supposedly open. 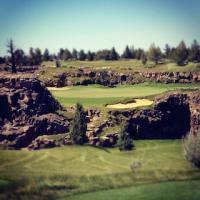 Eagle Crest Ridge course supposed to be open early this week. I’m guessing Brasada and Pronghorn will be open by midweek if they’re not already. None of the Bend courses will be open until at least that first weekend in April if we’re lucky. My recommendation is to drive out to Prineville and play Meadow Lakes if you have the time to do so. It’s a good course if you haven’t played it before... I think the other courses will have pretty rough and bumpy putting surfaces. Juniper definitely will. Have fun! We’re cleaning up bunkers today and should be rolling greens and replacing our winter plugs by the end of the week.